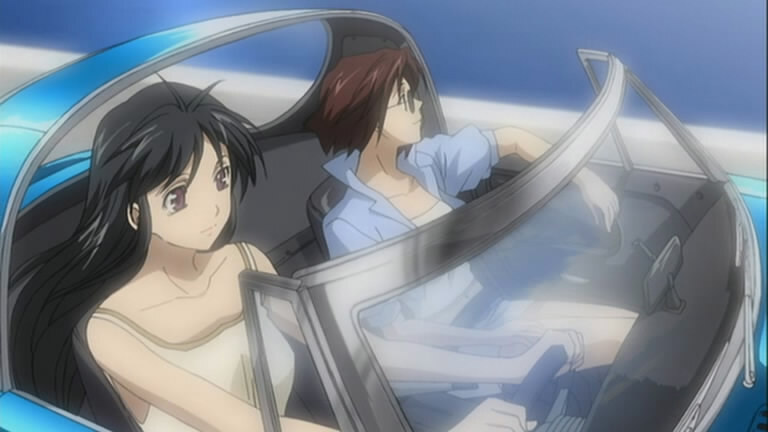 As Nakajima sits on his bike in traffic and dreams of being with Miyuki at the beach, Miyuki, Natsumi, Yoriko, and Aoi-chan have a planned reunion with Saori-chan at the beach. Saori-chan babbles on and on until they drag her away to the beach. While there, the group has fun on water craft, volleyball, and being in the sun. Yoriko asks Saori-chan if she has a boyfriend. She learns that Saori-chan has no boyfriend, so Yoriko decides to teach Saori-chan on how to pick up guys. However, they see Aoi-chan has men flocking to him. This is depressing to Yoriko since Aoi-chan is a guy in drag. At lunch, Saori-chan brings out her laptop and talks about her work in cyber-crime at Johoku Police Station. The manager of the restaurant comes to them with a problem after learning they are cops. It seems that some illicit photos of girls on the beach are showing up on an underground pay Internet site. Miyuki, Natsumi, and Aoi-chan decide to become the bait while Saori-chan and Yoriko discover the site. They see that the new pictures include Aoi-chan and Yoriko, but they also discover the same couple of high school boys in some of the shots. Saori-chan heads to the beach and locates the boys in a shack as they send their latest batch of pictures to the website’s owner. She confronts them, but they escape. She tries to chase them, but they are on bicycles and leave her. Natsumi, Miyuki, Yoriko, and Aoi-chan come up on inline skates and give Saori-chan a pair. The five then catch the three boys, eventually catching them with Natsumi showing off her strength. 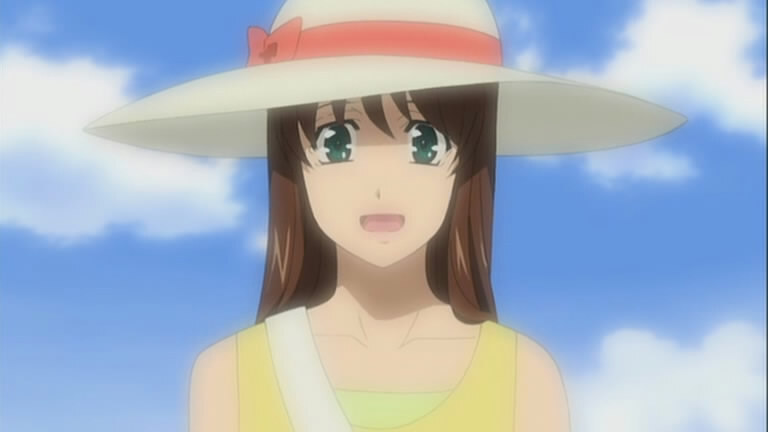 That evening, the group is at the beach with sparklers where Saori-chan promises to uncover the owner of the website and bring them to justice. Meanwhile, Nakajima is desperately trying to find the beach that Miyuki went to. First, hurray for the return of Saori-chan. I missed her from You’re Under Arrest 2 because through her character, we were able to get a fresh perspective on things that happened at Bokuto Police Station. That said, while I’m glad she returned, her character was a tad annoying, which I don’t remember feeling in YUA2. I understand the hero worship of Miyuki and Natsumi since Saori-chan was introduced in You’re Under Arrest, but the gushing was a bit much for me. She came off as serious about her job, but still immature. Oh well. This series has been geared to a younger audience in my opinion with the occasional bone tossed to the YUA otaku. This episode did remind me at times of episode 21 of You’re Under Arrest Specials. The final episode of that series (and the only full-length episode, which was then licensed by AnimEigo while the shorts went to ADV) was a beach episode as well. They had a little traffic jam moment, Miyuki on a personal water craft (ie: Jet Ski), and of course everyone in swimsuits. I did laugh at how Aoi-chan attracted all the men, much to the chagrin of Yoriko. That does have to be pretty insulting to see a man in drag attract more men than a real woman. Beyond that, the episode just came off as kind of childish, which has been a staple of the entire series (sadly). 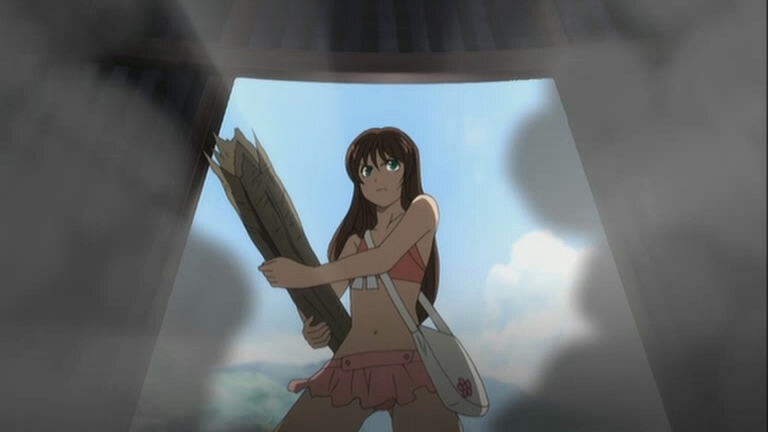 That doesn’t mean I needed more fanservice, but things were written and presented in a juvenile way. Seriously, how do four female and one faux female police persons in inline skates catch three high school boys on bicycles? I can promise you that when I was in high school there would be no way anyone on any kind of skate could catch me, period. I’m not sure when I’ll get to see the next episode. That’s the problem with being dependent on an external source to watch these things.